Take Your Consulting/Coaching Business to New Heights! Discover How to Win More Clients & Get More Work Done in Much Less Time! As a management consultant, business advisor or business coach the number of clients you take on and the amount of money you make is limited by the time you spend at work. Add in client prospecting, administrative work and more … and the amount of time you have to make real money can be extremely limited. But what if you were able to automate the client assessment and planning process and condense it down into just a 90-minute period? How much would your business grow? How many more clients could you see? How much would your income increase? How much more time flexibility would you have? Hello, my name is Niall Strickland MBA and I have 35 years of international business experience in banking and management consulting. When I started my own independent consulting business, I went through the same growing pains that you are going through now … and I got as frustrated with those growing pains as you are probably feeling right now. In fact, I got so frustrated that I decided to do something about the situation. It can do the same for you. In fact, this program will allow you to easily work with 3 times the number of clients that you are currently – that means it could allow you to earn 3 times what you are making now! But what that’s not all, this program improves your conversion rate and allows you to drive down the cost of client acquisition – boosting your income even more! Your clients or prospects are given a comprehensive online questionnaire that takes approximately 90 minutes to complete. They can save their progress and take the questionnaire over a period of time if they want. There’s no faster or easier way to get a full 360 degree view of a business! It will allow you to produce a detailed written assessment of a business along with a transformation road map at a truly astonishing speed. Make more money in less time – use the extra time to get more clients or to spend with your family or pursuing a hobby! Dramatically slash the time you are currently spending on client assessments! Put an end to unpaid sessions at the pre-engagement stage! Increase the number of prospects you turn into paying clients! Filter out “tire kickers” from the prospects with whom you can do your best work at a much earlier stage! Get more referrals from existing and new clients due to the speed and efficiency with which you can identify problems and put tailored solutions in place! Focus more of your time and attention on solving client problems and helping them to breakthrough! Quit spending days working on written reports or proposals for clients! Collect information on any device from anywhere! Customize the report and your proposals with your own brand and style! Easily add in your own content so that each report reflects your personal experience and knowledge and anything else you want, such as your biography, your proposal, your rate card, your call to action and more! Here’s the deal: Simply click on the button below, register and we will send you a code to access GrowthOracle and use it to conduct an assessment of any business of your choosing at zero cost and with zero commitment on your part. This sample assessment is valued at $497, and will deliver a 50+page report on any one business that you choose to assess. We are confident if you try GrowthOracle you will quickly see that it will save you time and money and allow you to serve your clients much, much better. Armed with GrowthOracle, you’ll be able to focus your attention on implementation – not the assessment – but you’ll get paid for both! Should you choose to purchase GrowthOracle after the free trial, there is no risk then either. You can use our cloud-based software for a whole week without risking a cent. See for yourself the power of this software. If you’re not completely convinced that it is right for you, just ask for a refund. We are delighted to offer you a thirty-day money-back guarantee because we think you’ll never want to part with GrowthOracle once you’ve got it. No one has ever asked for a refund. Ever! GrowthOracle also comes with NO LONG TERM CONTRACTS! This is a subscription service and you may cancel at the end of any month in the unlikely event that you no longer want to use GrowthOracle. So don’t delay, take our risk-free trial now! I am the CEO of Roos Consulting, a New York based firm of Strategic Business Advisors. For the last 25 years I have been looking for a business analysis & benchmarking software tool that would help me quickly assess the strategic and the tactical operations inside an organization. GrowthOracle addresses all of those needs for me in a very easy to use and succinct way. It has helped me to be able to quickly get into each department and assess and then come up with very specific strategic plans and a roadmap for those departments to be able to quickly get the results that they need. 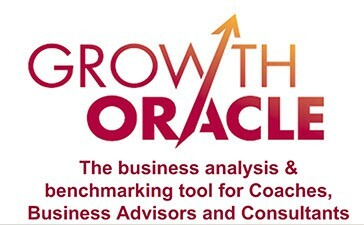 This tool is amazing for management consultants and coaches because it provides a very specific tactical roadmap that every consultant or coach can use in helping their clients take their businesses to the next level. “I am an accountant by profession (CPA ) and trade under the name ARP Financial Services in Perth, Australia. I have in excess of 30 years experience having worked in Public Practice, Corporate and Commerce. I spent a number of years working for Ernst & Young in their Business and Management Consulting Divisions where I gained invaluable knowledge and experience. I recently set up Health Check For Businesses in Australia as a sole proprietor with the intention of assisting small businesses reach their full potential and goals. I was extremely fortunate to come across Niall Strickland’s product GrowthOracle, a business analysis & benchmarking software tool, which allows me to present to all my clients an initial questionnaire that assesses the state of their businesses. Send us an email if you have any questions about us, what we do, or how we do it. Alternatively, simply sign-up for our newsletter by emailing us on the above link. We will be delighted to hear from you. If you are a coach, business advisor or consultant, you can get a complete demonstration of the entire system without spending a dime or making any commitment. In fact, we don’t even need your credit card details. It’s completely risk free. Just click on the link below to register and we will send you access codes to allow you to try out GrowthOracle on any one prospect or client without obligation.